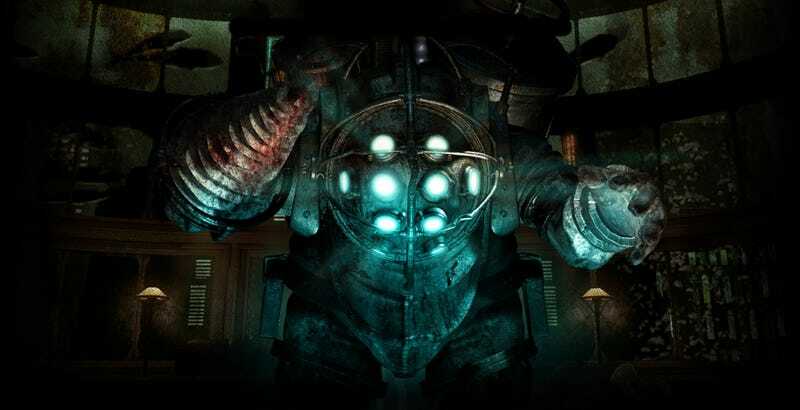 Continuing a grand tradition that began when BioShock first came out in 2007, the remastered versions of BioShock 1 and 2 did not emerge from the bathysphere plunge to PC unscathed. That’s all of them. No shadows, no textures, no FOV. Even the original PC release did a better job, and thanks to mods, it’s now in significantly better shape than the remaster. The other curiously PC-unfriendly bit is a mouse-smoothing issue that causes acceleration and sensitivity to feel wacky and out of control—less Big Daddy and more runaway bus. In my experience, the game was still playable, but I was less comfortable than I would’ve liked to have been. I’ve also seen reports of stuttering, crashing bugs, and PC/console control scheme mix-ups, none of which I encountered after an hour of play. I did, however, come across a couple moments where sound dropped out, which is extra jarring in a game as aurally intense as BioShock. You can certainly play the remastered PC versions of BioShock 1 and 2, but I’m just not sure why you’d want to at this point. The graphical upgrade is marginal at best, and you’re inviting a whole host of potential issues. Get the originals and mod them instead. If, however, you absolutely must play the remasters—say, to stop a bomb from detonating or to appease a depressed dog—Rock Paper Shotgun has some quick and dirty fixes for sound, resolution, and mouse-smoothing. That ought to tide you over until a patch (I really, really hope there’s gonna be a patch) drops.